A new dating craze has hit Montreal and experts believe it will revolutionize the way people fall in love. “Meth dating is here and it’s kicking speed dating to the curb,” says love coach Diana Biggles. “I’ve been helping lonely people find love for decades, and nothing has ever worked as well as this new drug infused dating method. Crystal meth makes falling in love crystal clear." The origins of meth dating are shrouded in mystery, though the practice itself is fairly straight forward. “A meth date is when two strangers meet in abandoned alleyway and smoke crystal meth,” says Diana. “That’s all there is to it, really. It’s as simple as that. Just drag a stranger into an alleyway and smoke meth with them. Boom. You’ve got yourself a new lover to share your life with." 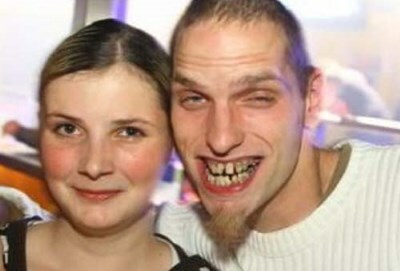 Katie Vanderbeek met her husband Wallace Gauthier on a meth date. “I was walking down St-Denis when I walked by this dank, dark alley that Wallace was hanging out in. The moment he noticed me, he popped his head out of the alley and asked me in a husky voice if I’d like to smoke some meth with him. I said sure and two weeks later we were married." Katie and Wallace aren’t the only meth dating success story. “Every day, dozens of people across Montreal meet their life partners after smoking crystal meth in an alleyway,” says Diana. “It’s the fastest and easiest way to fall in love with someone. If you’re lonely and desperate, I’d really recommend contacting your local Walter White, then hanging out in an alley somewhere. Anytime an attractive person walks by you, let them know you’ve got some meth you’d like to share with them. Sooner or later, someone will take you up on your offer, and the next thing you know, you’ll have someone to share the rest of your life with. This dating method works like magic."